^ H. Newton Malony (ed. ), A Christian Existential Psychology: The Contributions of John G. Finch, University Press of America, 1980, p. 168. ^ Jon Bartley Stewart, Kierkegaard and Existentialism, Ashgate Publishing, Ltd., 2011, p. 204. Gardiner, Patrick (1998). Kierkegaard, Søren Aabye. In E. Craig (Ed. ), Routledge Encyclopedia of Philosophy. London: Routledge. Retrieved November 04, 2004. McDonald, William (2001). 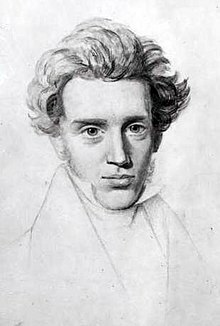 Søren Kierkegaard. In Edward N. Zalta (ed. ), Stanford Encyclopedia of Philosophy (Winter 2001 Edition).